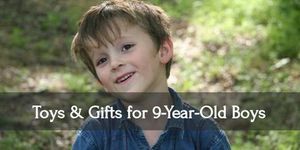 At nine-years-old, your little girl will slowly want to look more presentable for the people around her. She’s already going to school, and she’d want to put her best foot forward. There are tons of toys and accessories that can help boost your daughter’s self-confidence. There are even some that she can use to play with her friends. Review: Okay, so this isn’t really for self-confidence. But this board game does make for a hilarious party game. 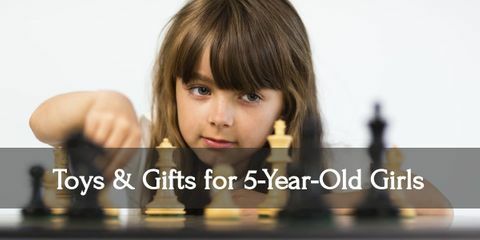 Your kid can use it to play with her friends, or she can bring out during family game nights! 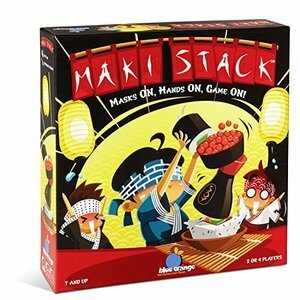 Maki Stack is a fun-filled game that has high-quality wooden pieces and easy-to-understand game mechanics. All you need is to put on a mask or use your fingers as chopsticks to stack and arrange all the sushi-themed pieces in the exact order they show up on the card. It’s team race that will keep your daughter and everyone playing laughing in stitches! Review: Let’s face it. 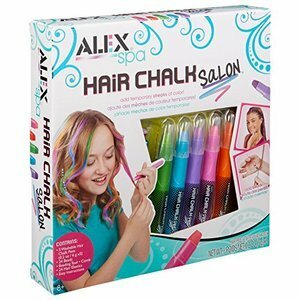 Your little girl would love to have vibrantly colored hair. It’s a by-product of being born in a generation obsessed with rainbows, mermaids, and unicorns. But semi-permanent hair dye isn’t really the best product for her yet. So what do you do? Get her hair chalk! It gives the same vibrant color your daughter wants; may it be pink, purple, or blue. But without the commitment of a semi-permanent dye! It completely washes out with shampoo so you don’t really need to worry about it sticking. Plus, this set even comes with 24 metallic beads as well as 24 hair elastics to help your daughter style her ‘do. 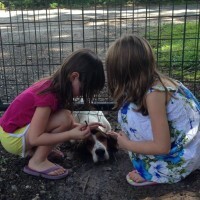 Review: Sleepovers are fun since your child gets to stay up late with her friends. But it can get boring if they don’t think of things to do. Luckily, the Sleepover Party Game takes care of that problem completely! With numerous different party cards, your daughter and her friends will be doing endless types of activities; from singing and dancing to laughing and making a complete fool of themselves. There are dozens of silly challenges to overcome like not falling asleep early or making the funniest sound you can! Really, this set is a cure for boredom! Review: The Game of Life is a game I loved growing up! It’s like the early version of the Sims if you ask me. 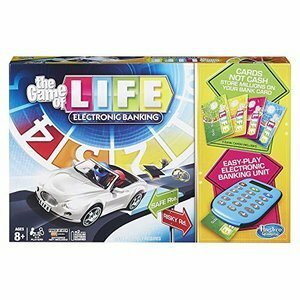 If your child likes life simulations, she’ll greatly appreciate this board game for sure. But like all classic games, updates are in order! Why not play this beloved game with a modern twist? Electronic Banking! Now when your pay for night school or earn your salary, all you need to do is swipe your car to finish your business. Like, honestly? It makes the game super easier and more relatable to your child. Review: Is your nine-year-old obsessed with fashion and shows like project runway and America’s Next Top Model? 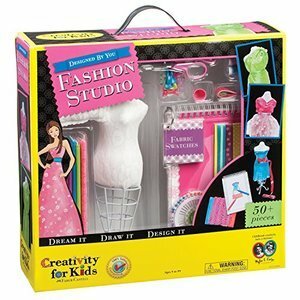 Fulfill her designer dreams with this cute fashion studio kit. With over 50 individual pieces to use, she can create her dream outfit with no problem! She even has a dress mannequin as well as fabric samples at her disposal. But it’s not just about playing and fun, this set can actually teach your daughter the basics of fashion design. With the step by step guide on hand, she can learn to make doll clothes and outfit patterns. Of course, it would be better if you keep a careful watch on your kid as she will be using tools like scissors. Review: Another by-product of the rainbow-mermaid-unicorn movement of today is the wonder of bath bombs. This deliciously scented products make baths a whole lot more magical, and your little girl will definitely love learning how create one of her own! 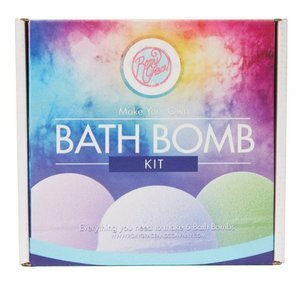 This kit is a goof-proof project that yields six fizzy bath bombs that your daughter will love creating and using. She can even make use of seven different yet heavenly scents as well as mix and match different colors. What’s better is that these bath bombs are created with all-natural ingredients as well as essential oils so you know it’s safe for you and your daughter’s skin. Review: Is you nine-year-old showing signs of becoming the next big artist? Does she love to draw, sketch, paint, and whatnot? 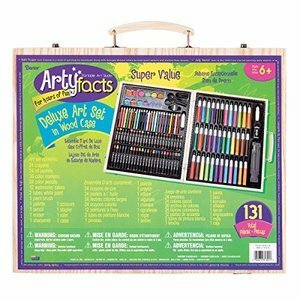 Well, encourage her artistic skills with this Premium Art Set. It contains over 130 pieces that can be used by your daughter to create her masterpiece. She can make use of different mediums like paint and pencils. In fact, this set includes numerous shades of markers, pencils, pastels, watercolors, and many more. It even comes in a highly durable wooden case which your daughter can bring with her wherever! 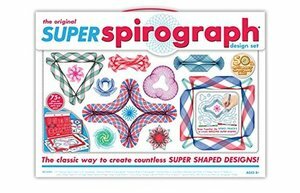 Review: Spirographs have been a thing for a long time. It is an easy and amusing activity to indulge in. It’s no surprise that even kids today still like making a Spirograph. This kit is the 50th anniversary edition (it’s been that long!). Your daughter can have fun with 3 pens, 2 pads of paper, and various Spiro-tastic gears to create lots and lots of different patterns. Sure, gameplay seems simple but this kit can still exercise your child’s creativity as well as pattern-making and color-matching skills. 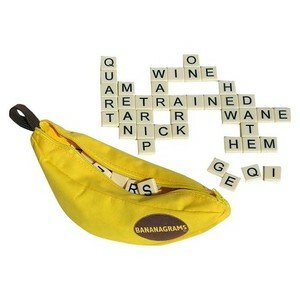 Review: If your child loves words and word games, give her a hilariously apt gift with the Bananagrams. It’s like the sister game of Scrabble but with a nice banana twist to it. The game has 144 letter tiles that your daughter and other players would need to use to create real words in a crossword grid. It’s fast-paced and portable, making it a great group game for vacation. Plus, the banana case! You can store all the letters in a cute banana pouch. Honestly, the banana pouch is the real winner here. 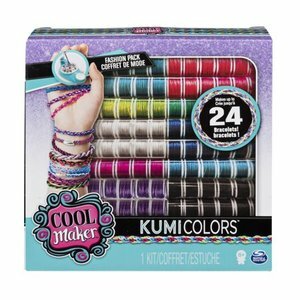 Review: Give your daughter the ultimate, best-friend, DIY project today with the KumiKreator set. With over 192 spools of string, you can make lots and lots of accessories. One such is a Kumi bracelet, inspired by the Japanese thread bracelets. She can weave her Kumi all on her own with the amazing Kumi machine that comes with the kit. There are tons and tons of designs to create and she’ll surely have lots of bracelets after finishing all spools. You can even get her KumiJewels and KumiCools if you want your daughter to design her bracelets more uniquely. Honestly, being a nine-year-old girl is kind of awkward. Your daughter is really a tween yet but she wants to be a lot older now. Independence and self-image are becoming important to her. 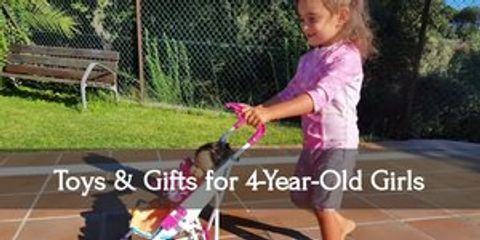 Allow her to transition a lot more smoothly by introducing activities that she can do all on her own, as well as kits that can help her build self-confidence better.